Hidden Glyph: A Fringe "leaf" symbol hidden on a bathroom sign. Hidden Glyph: A Fringe "butterfly" symbol on a butterfly poster at the bug lab. 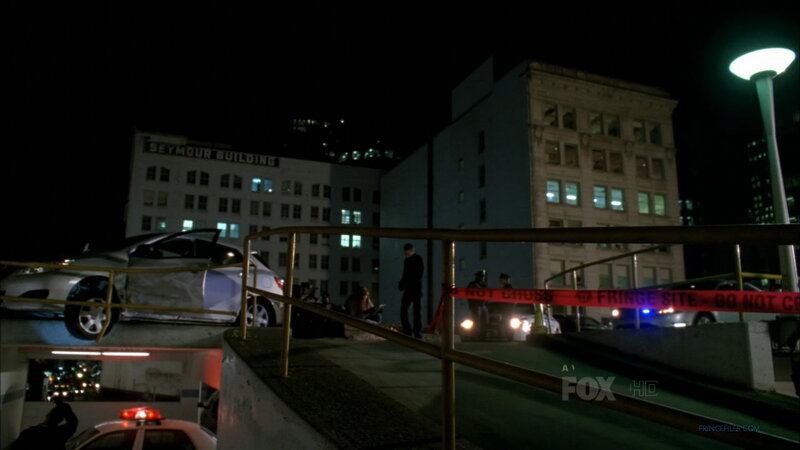 Next Episode Clue: The license plate of the second victim is APT6B, as in Apartment 6B, reflecting the title and subject matter of the next episode "6B". 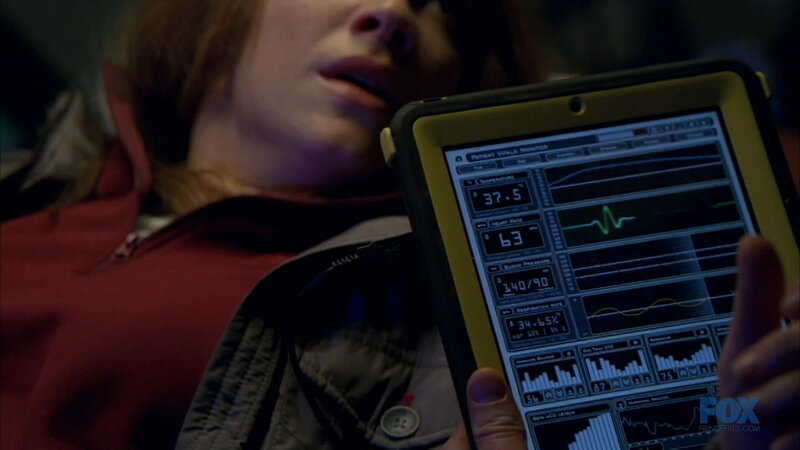 The Observer can be spotted in the zeppelin terminal, just before Frank arrives. 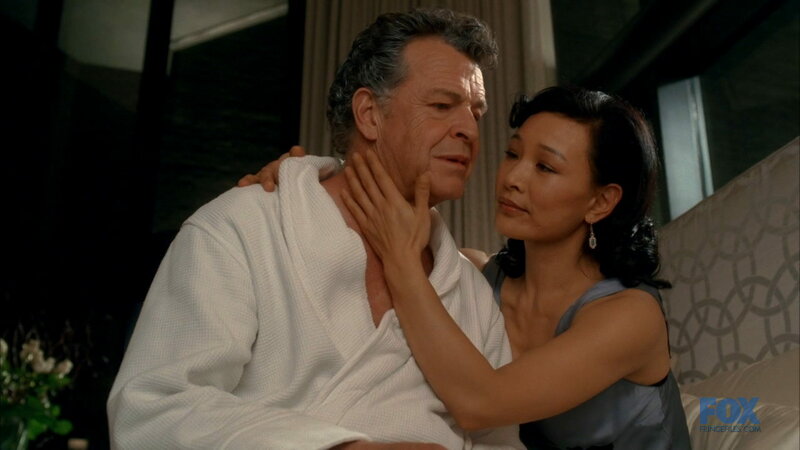 Glyphs code spells out ROMAD - a military term meaning "Recon, Observe, Mark, & Destroy"
Another Twin Peaks reference: Walternate's mistress was played by Joan Chen, who played Josie Packard in the classic '80s TV show Twin Peaks. Charile: "As long as it's not bugs." Fauxlivia: "Oh, it's probably bugs. What? 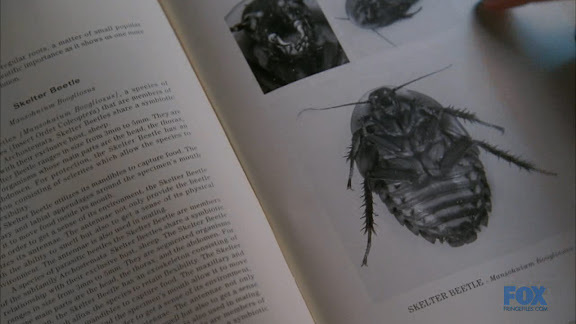 Bugs like you." 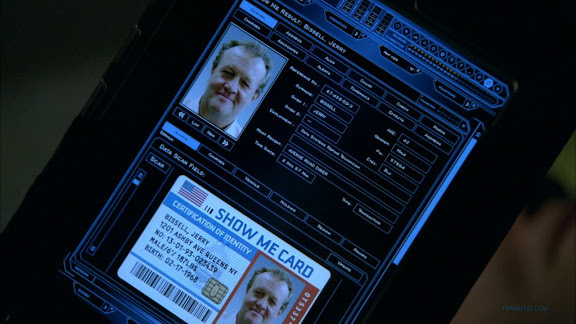 "Show Me Card" for Jerry Bissell. "You're not infected. You're pregnant." - Frank to Fauxlivia in Immortality. For more Fringe screen shots and other images, visit FringeFiles.com. I haven't seen it listed on this website, but there was a hidden glyph in "Reciprocity" right at the beginning when Peter came in the house and put his bag down, there was a seahorse on it. 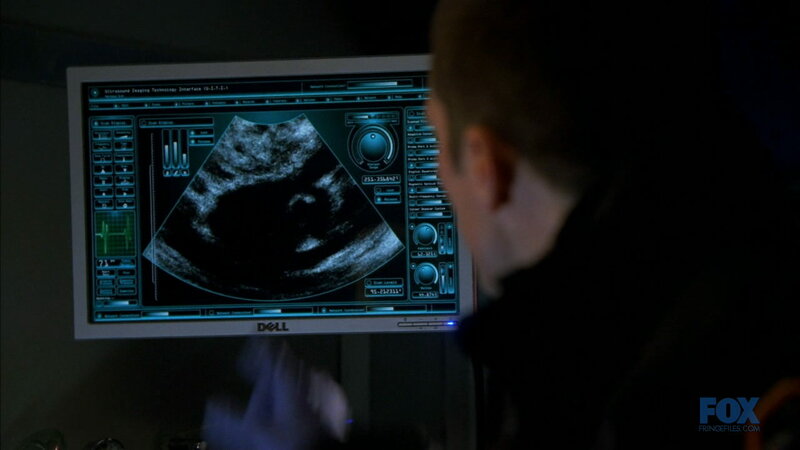 You can see the hidden seahorse glyph here. Hidden glyphs have been spotted in a handful of episodes, but they do not appear to be in every episode, like the "next episode clues" or Observer appearances. 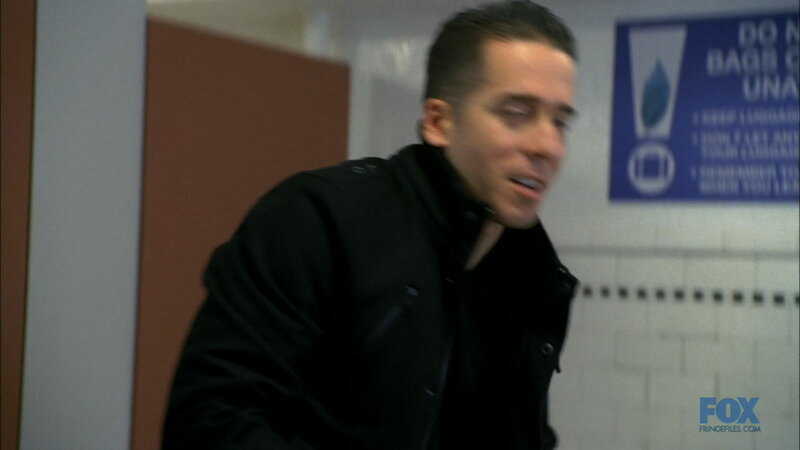 I think there may have been more to last week's Next Episode Clue. 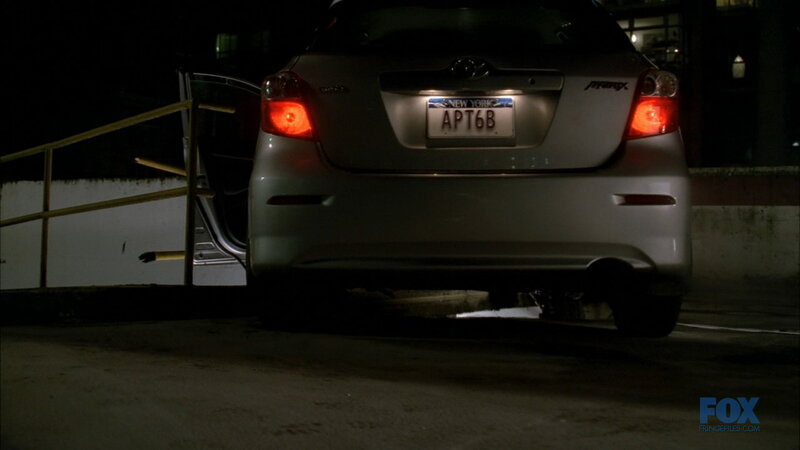 Just after the rear of the car is shown with license plate reading "APT6B", the car is shown again facing the driver's side. Behind it we see a billing clearly labeled as "Seymour Building", as in a See-More Building, such as the one that Apt 6b was located in (and, in fact, 6B was the root cause of the extra "sights", I think this must be included with the license plate as a 2 frame Next Episode Clue.